“You have a morbid fascination with death. You have so many stories of death and people close to you dying.” Actually he said, “You are the angel of death,” but I don’t fear death and I don’t think it’s morbid. I work in hospitals with kids who may die and observing parents coping with their worst fear strengthens my gratitude for my three healthy kids. Life and death walk hand in hand, two sides of the same coin, my fascination with death is a part of living well. And I know I will be old and ready for it when my time comes. I’ve got too much to do in this life to die young. I love cemeteries, I could walk in them for hours looking at the headstones and wondering how people lived. 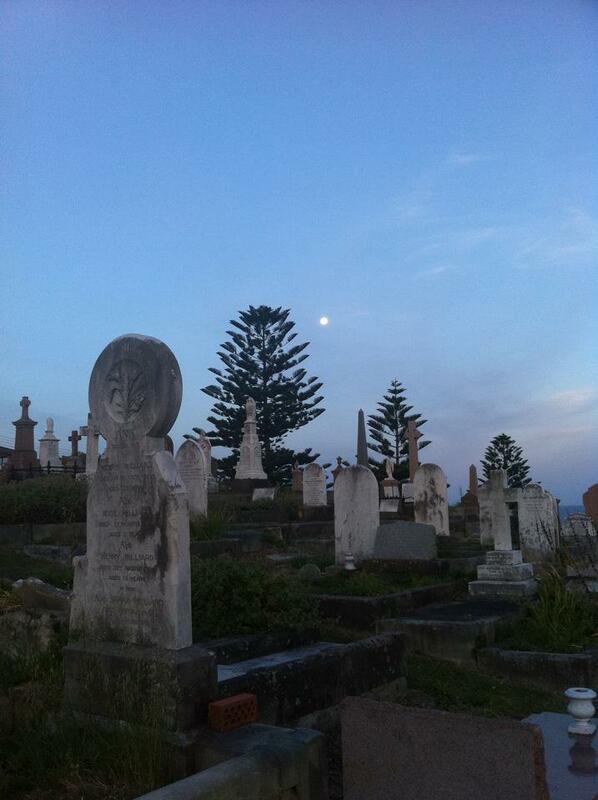 I’m lucky I live right near one of the most beautiful cemeteries in Sydney. I love old graves. Walking around reading the inscriptions I’m reminded as a mother that only a hundred years ago mothers lived with the ever present thought that they should have lots of children as many little kids under five didn’t survive. My dad’s been dead for 11 years and I’m certain he’s around me all the time. I am raising a small tribe of Amazonians. Notable queens of the Amazons are Penthesilea, who participated in the Trojan War, and her sister Hippolyte, whose magic girdle, given to her by her father, was the object of one of the labours of Hercules. Amazonian raiders were often depicted in battle with Greek warriors in classical art. The Amazons have become associated with various historical peoples throughout the Roman Empire. Their name has become a term for woman warriors. When my youngest daughter is Prime Minister I’ll advise her to have every male over the age of 25 rounded up and sent to an island. We’ll keep men aged 18 to 25 in pens for breeding, retiring them once they become older. I’ll make a great political consultant. Is my first policy statement too extreme?